Most hunters are giddy at the sight of a cherished mallard downed during the hunt. Having that mallard retrieved by his loyal companion - priceless. The entire hunt has reached its pinnacle when the hunting dog retrieves the most prized of all hunted duck species - the greenhead. Many dreams have been dreamt before the moment depicted in the painting occurs. The largeness of the greenhead is intentionally depicted in the perspective of the painting. To hunters, some things simply don't need to be explained. 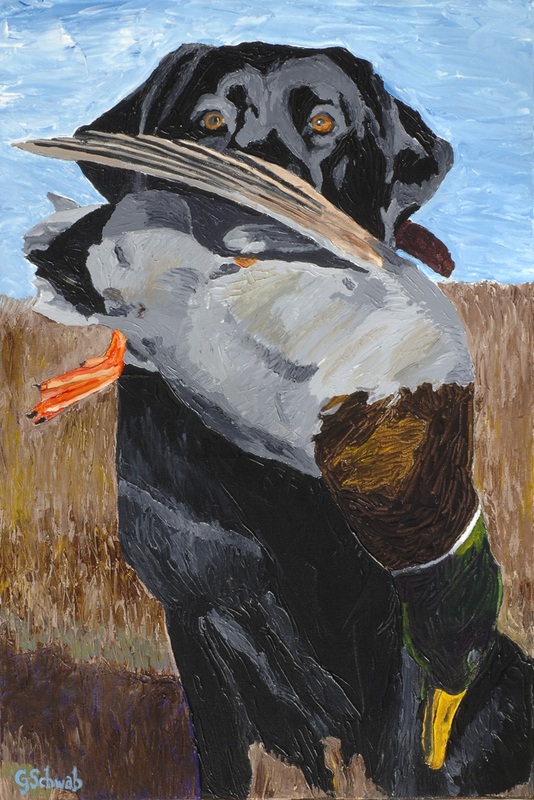 The warm light on the stained belly of the mallard assures everyone that the duck has been feeding in the muddy waters.